I hadn't worn a watch since my Casio died about 7 years ago. I loved it because it was easy to read, and also had a night light. I didn't feel inclined to get another one, however, because I started using my phone to look at the time. But there's something to say about wearing a watch! Don't forget it is part of your overall look, it's a conversation piece. And there's nothing easier than a flick of the wrist and a glance down to get the time when you're wearing a watch. This blog uses affiliate and non-affiliate links for reference purposes. Thanks for visiting! Jord was kind enough to contact me to see if I might like to review one of their watches. Um...hold on, let me check my busy schedule....yep, looks like I'm good for a watch review! (Squeeeee!!) Especially a wood watch review! They look so distinctive, and I've seen the posts about Jord everywhere. 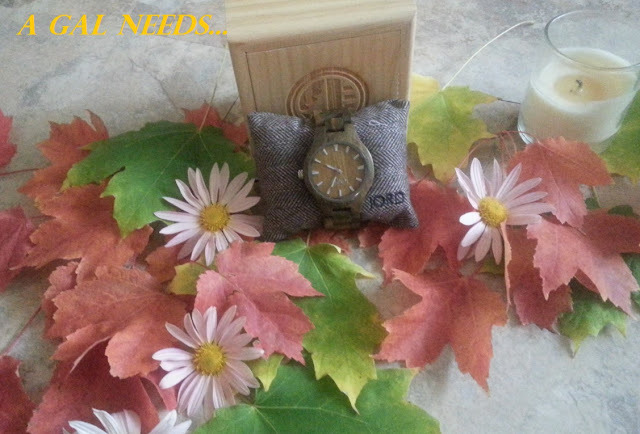 It seems that one can't take a bad picture of a Jord Watch. They are absolutely stunning! Simplicity in accessories is important to me, and I wanted a neutral watch, one that I could wear with most anything, whether it was out playing disc golf on the weekend, or heading to work during the week. I want a look that I can pair with many looks. I chose the Fieldcrest Series in green sandalwood, for that reason. 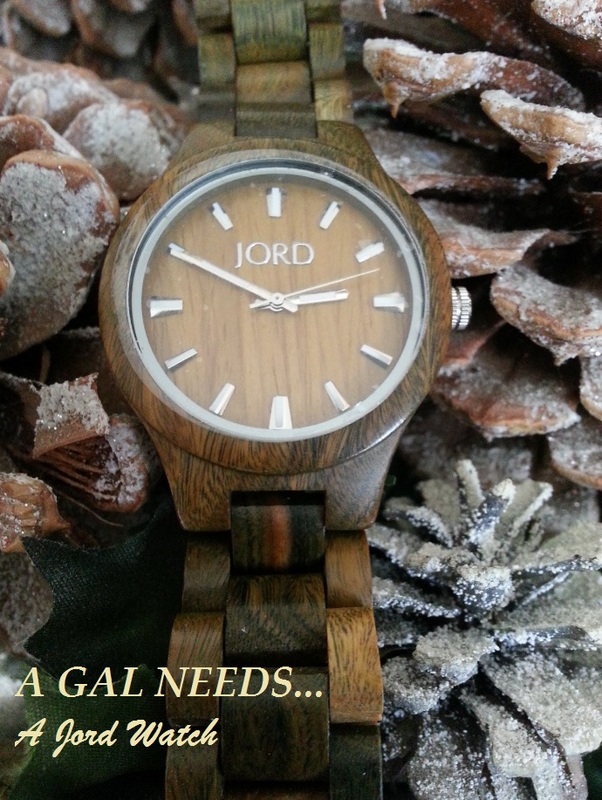 The series comes standard, as do all Jord watches, with quartz crystal inner workings, hand finished woods, scratch-resistant mineral glass, and are splash-proof. Ranging in price from $139 - $395, there is a style, wood, and color for all! A couple things that I particularly like about this wood watch is the light-weight feel. I often forget to take it off at night because I don't even feel it on my wrist, which is a good thing. Another thing is that it never gets sweaty, sticky, or smelly. When I had a leather band with my former watch, the leather got a funky smell to it after I had worn it and it had absorbed perspiration and dampness. Wood doesn't do that. I'm thrilled because I have a sensitive sniffer, and the smell of the leather wristband always bothered me. I feel like I'm going to love going back to depending on a watch to check the time! It's the perfect must-have accessory! It's Amazon Prime Day today and Jord is giving free shipping and 30% off their watches! 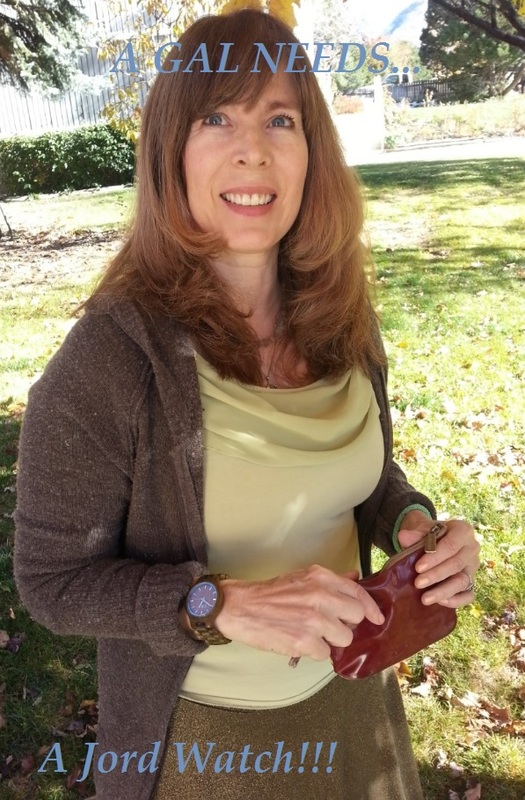 I am a participant in the Amazon Services LLC Associates Program!